Kwetu Africa is run by the Ugandan artist and designer Sanaa Gateja. 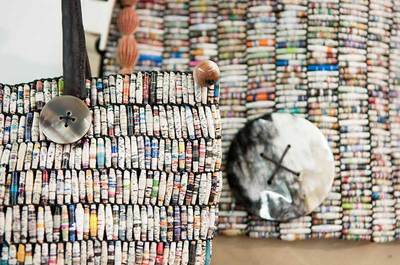 In the true sense of the word, he succeeds in UP-cycling recycled paper beads into sophisticated wearable art pieces, a style he refers to as “Art Wear”. 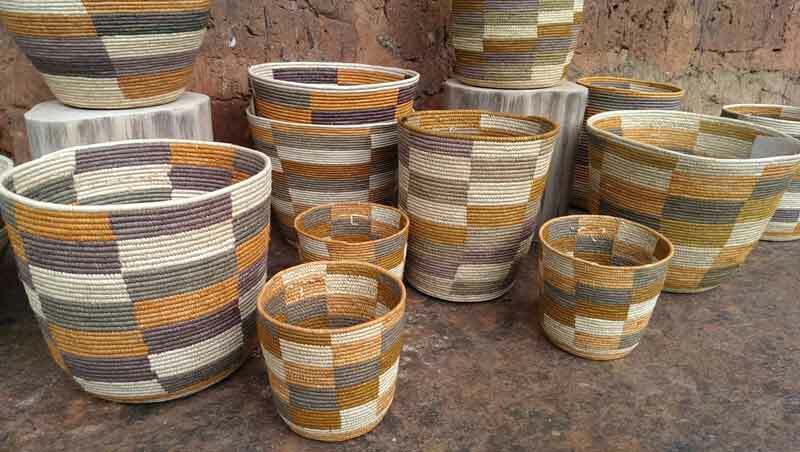 His raw materials are old books, magazines and posters and in each product, he transforms the words and images into colours, textures and patterns. The process of making the recycled paper beads is labour intensive and requires skilled hands. 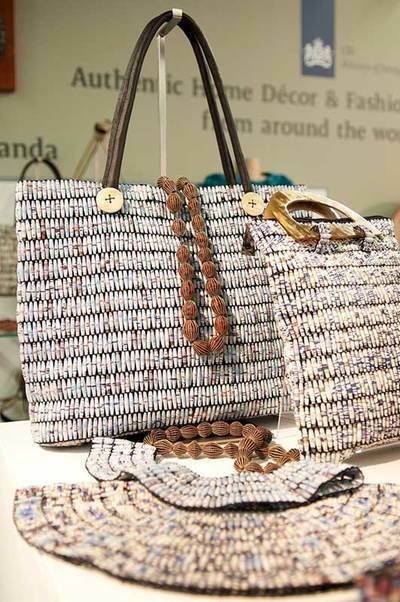 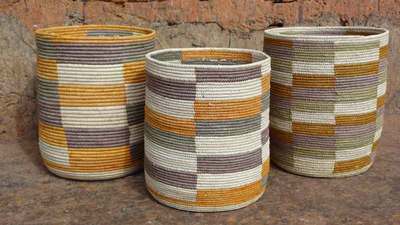 Kwetu creates employment for numerous women in and around the city of Kampala in Uganda. 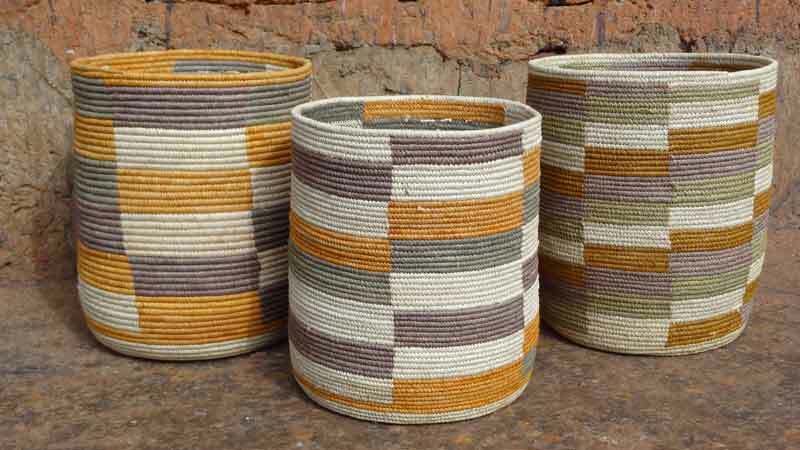 Kwetu has recently started working on a community development project with basket weavers in the Kisoro hills of South West Uganda. 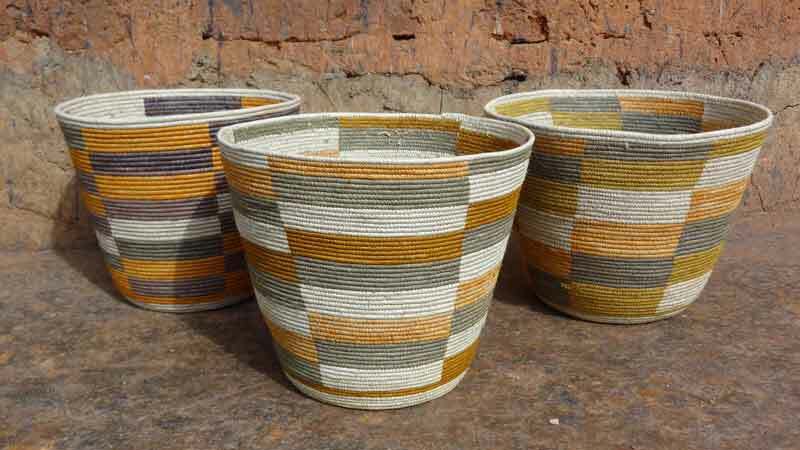 The baskets are intricately crafted and their patterns inspired by the terraced farming patches on the hillsides.